Renal genetic disorders may become apparent at any time in life and recognition of specific renal disorders is important in allowing accurate genetic counselling. Active counselling requires knowledge about the natural history of the disorder, an understanding of the genetic component and mode of inheritance, risk of the disorder in other family members, information about patient attitudes towards family planning and the possibility of pre-natal diagnosis. The Genetics of Renal Disease covers these issues in detail. 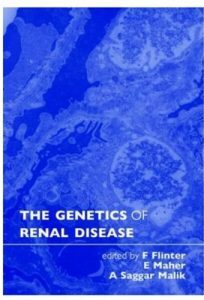 The book provides a comprehensive account of both the hereditary nephropathies and more generalised disorders which may affect the renal tract. It includes comprehensive guidelines from an international group of authors on renal function and development, choromosomal disorders, dysmorphic syndromes, inherited predisposition to kidney cancer and gene therapy for renal cancer. Specific chapters deal with individual renal tract disorders such as an extensive discussion of Alport’s disease, cystic renal diseases, the Bardet-Biedl and Alstrom syndromes. 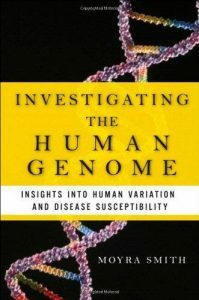 Each section gives a brief description of the clinical and pathological features of a particular disorder, followed by a review of the genetics of the disorder including incidence, inheritance of familial occurrence, genetic linkage and gene assignment, and prenatal diagnosis and carrier detection. Original studies are extensively quoted and are referenced at the end of each section. There are a great many dysmorphic syndromes which involve the urinary tract. These are incorporated within the book. Aimed primarily at clinical and medical geneticists, this book will also appeal to researchers into genetic kidney disease and genetic counsellors as well as nephrologists with an interest in this area. 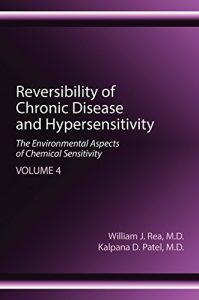 Reversibility of Chronic Disease and Hypersensitivity, Volume 4: The Environmental Aspects of Chemical Sensitivity is the fourth of an encyclopedic five-volume set describing the basic physiology, chemical sensitivity, diagnosis, and treatment of chronic degenerative disease studied in a 5x less polluted controlled environment. 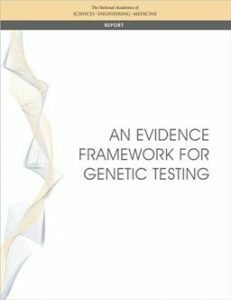 This text focuses on treatment techniques, strategies, protocols, prescriptions, and technologies. 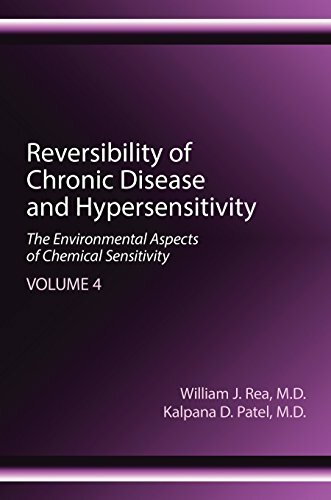 Distinguishing itself from previous works on chemical sensitivity, it explains newly understood mechanisms of chronic disease and hypersensitivity, involving core molecular function. The authors discuss new information on ground regulation system, genetics, the autonomic nervous system, and immune and non-immune functions. The book also includes the latest technology and cutting-edge techniques, numerous figures, and supporting research. 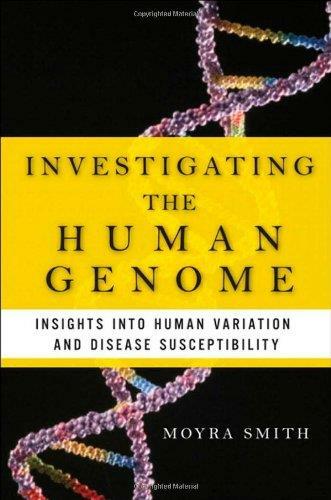 Leading medical genetics scholar Moyra Smith reviews curret and recent work in genetics and genomics to assess progress in understanding human variation and the pathogenesis of common and rare diseases in which genetics plays a role. 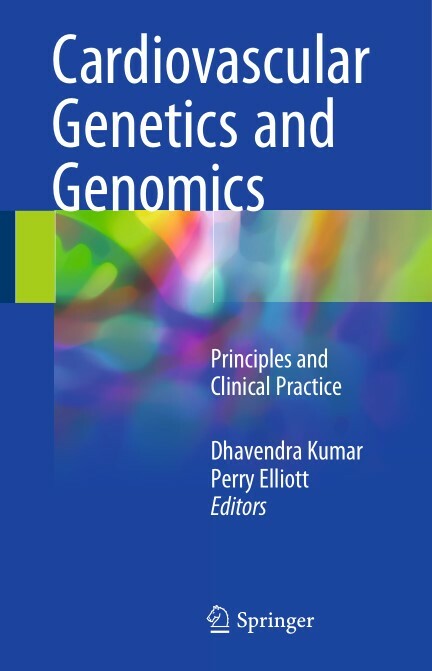 This title reflects the exponential growth in the knowledge and information on this subject and defines the extensive clinical translation of cardiovascular genetics and genomics in clinical practice. This concise, clinically oriented text is targeted at a broad range of clinicians who manage patients and families with a wide range of heterogeneous inherited cardiovascular conditions. 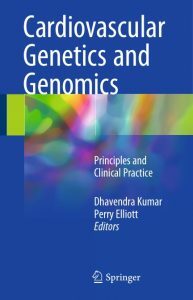 Cardiovascular Genetics and Genomics: Principles and Clinical Practice includes a concise and clear account on selected topics written by a team of leading experts on clinical cardiovascular genetics. 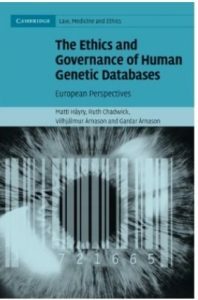 Each chapter include key information to assist the clinician and case histories have been incorporated to reflect contemporary practice in clinical cardiovascular genetics and genomics. Therefore this will be of key importance to all professionals working in the discipline, from clinicians and trainees in cardiology, cardiac surgery, electrophysiology, immunology through geneticists, nursing staff and those involved in precision medicine. The Medical Biobank of Umeå in Sweden, deCODE’s Health Sector Database in Iceland, the Estonian Genome Project and the UK Biobank contain health data and genetic data from large populations.